The Local Offer and School Offer Documents summarise our good practice in supporting children with Special Educational Needs to achieve their full potential. Lancashire Special Educational Needs and Disabilities Local Offer The Local Offer is a Local Authority’s publication of all the provision “they expect to be available across education, health and social care for children and young people in their area who have SEN or are disabled, including those who do not have Education, Health and Care (EHC) plans.” (Section 4.1 SEND Code of Practice, January 2015) The Local Offer has two key purposes: To provide clear, comprehensive, accessible and up to date information about the available provision and how to access it & To make provision more responsive to local needs and aspirations by directly involving disabled children and those with SEN and their parents, and disabled young people and those with SEN, and service providers in its development and review. 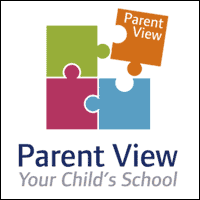 Parent View, is an online questionnaire that allows parents and carers to give their views on their child’s school at any time of the year. Covering over 22,000 schools across England, the 12-question survey will help other parents as they make important choices about their child’s education and provide Ofsted with information about schools that will help inform priorities for inspection. The questions were carefully chosen to cover those issues that parents told Ofsted are the most important to them. They are also designed to provide Ofsted with the information to support decisions about inspection and will give headteachers a direct route into gathering the views of their parent group.